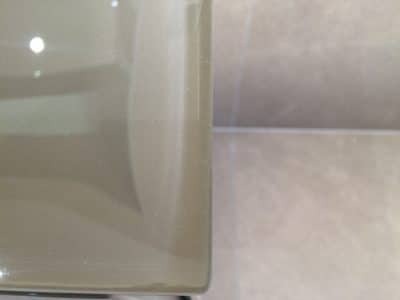 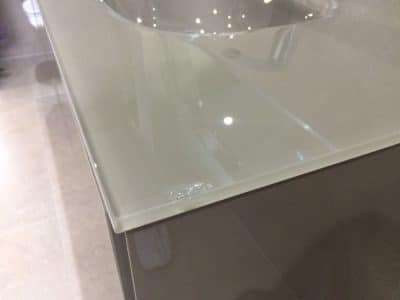 A custom made glass double sink in a new house was damaged after installation and suffered a deep chip to the edge that was sharp and noticeable. 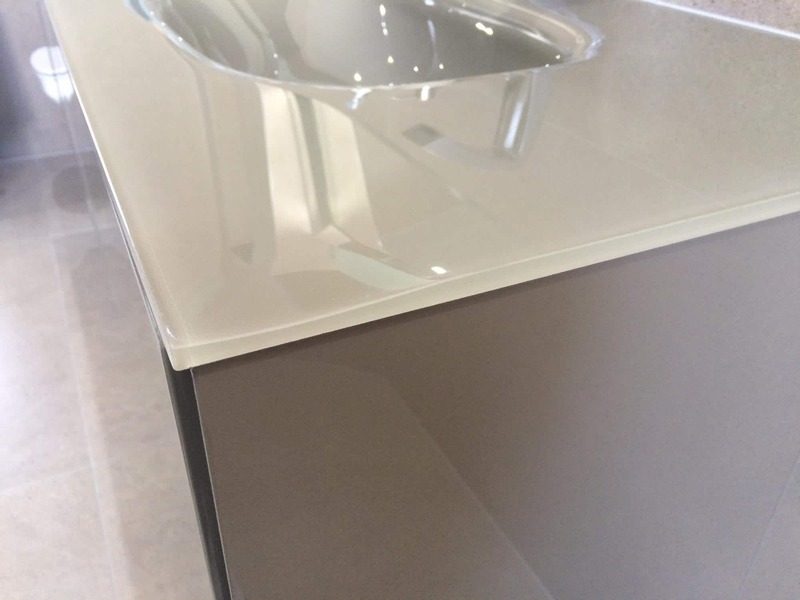 View of chip from the side of the vanity unit. 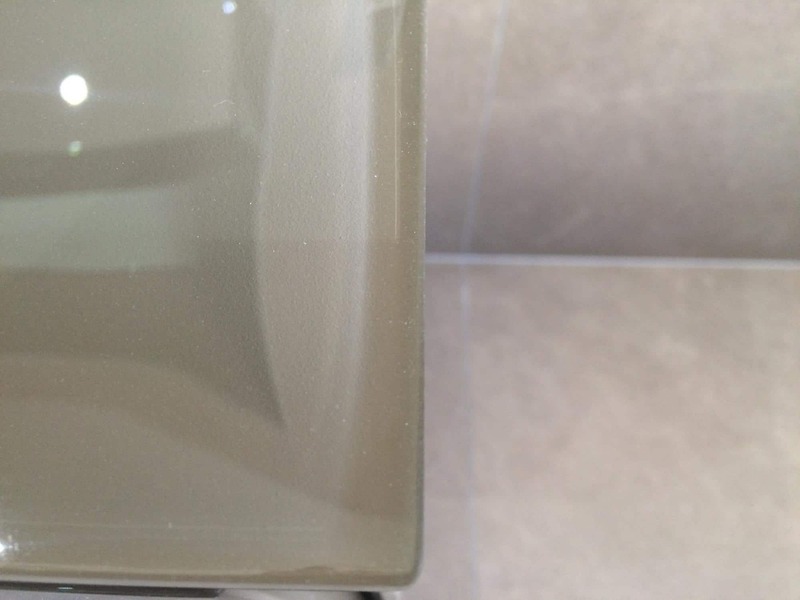 Top view after the repair shows almost no sign of the previous damage. 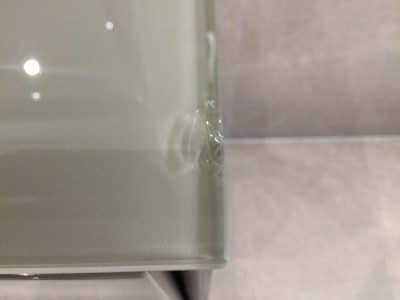 Side view only shows a slight imperfection in the surface and is now safe to touch and almost invisible.